The first follow-up to the NES version of the popular cheat device, this one introduced such additional features as support for up to five codes and the built-in effects switch. And unlike their rivals, Sega actually gave this a license. Bless your hearts, Sega. A developer message stored at address 32E. 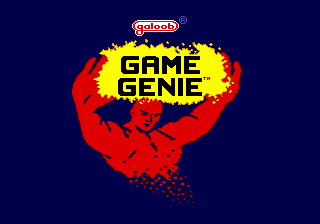 Game Genie program developed by Robert Leyland for MicroSystems Development of San Jose, CA. Produced by Galoob Toys Inc. of South San Francisco, CA. Original concept by Codemasters Ltd. This page was last modified on 28 November 2017, at 22:25.